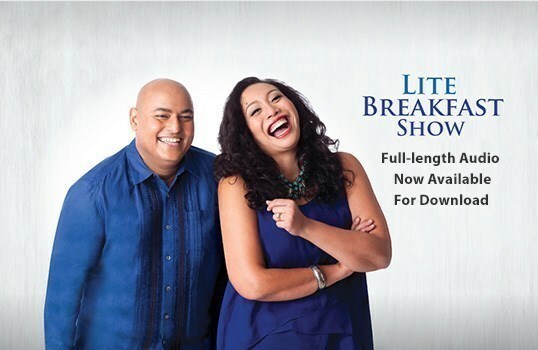 Host: The Lite Breakfast with Steve and Shaz and your Relaxing Favorites. 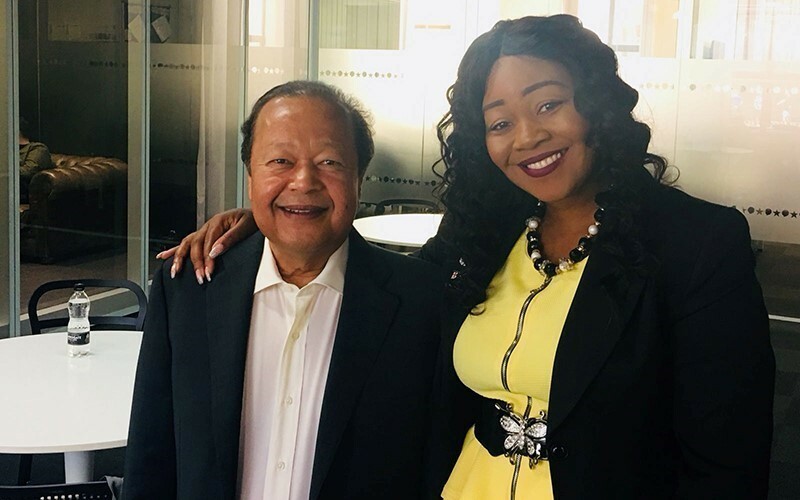 Joining us this morning is the founder of the Prem Rawat Foundation, the author of a brand new book called Splitting the Arrow – Understanding the Business of Life, is Peace Ambassador, Prem Rawat. 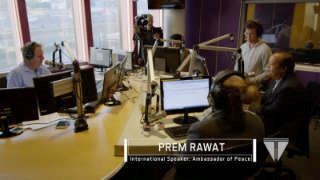 Prem Rawat:Thank you. Thank you for having me today. Hostess:Now Prem, what compelled you as a 4 year old to speak out about peace at your father’s meetings? Did you expect to make a difference or to matter in front of an audience of adults who might be dismissive of what a child that young would have to say? This is the Independent Republic of Mike Graham; Daisy McAndrew is here with me; coming up, (she’s going to try and shoe-horn in to talk about Love Island, which I’m going to try and resist). But out of fear, the resistance is futile! Going to bring the tone down. You guys are on a bit of a crusade—about trying to fix this problem. I mean, Pastor Lorraine, you, you’ve lost your son [PLJ: Yeah.] some years ago. And it must have been a most horrendous thing for you to have experienced—but, but tell us a little bit about what you’re here for, and what you’re planning to do. Well, being a mother that’s lost her son to this violent problem that [MG: Umm!] we have of youth violence, I can say today that I’m, I’ve got a lot of hope. I, I’m very optimistic about what’s going to take place in terms of a positive turn, turnaround. We’re going to be rolling out a campaign, “Peace is Possible.” And I’m happy that Prem has honored the invitation which I’ve—I’ve asked for help.... [MG: Right.] Because I work closely with the police and the government, and there’s a lot of initiatives that we are doing—we’re working tirelessly. But what I’ve found is that there is a loss of hope in organization leaders, the community, and families. And we want to restore that hope, [MG: Yeah.] so we can solve this problem. And what do you think has changed? I mean, obviously, we’ve had this problem for a while, but it really seems to have escalated in recent months, somehow—I don’t know why there are more incidents; there seems to be, as you say, you know, less confidence in the police solving the problem. Communities are kind of just shaking their heads, and not knowing what to do! There is a great increase of hopelessness—hopelessness! And where there’s no hope, people make the wrong decisions. And that’s why the crimes have increased, and—the way in which they’re killing the young people [MG: Mmm.] now, it’s brutal. Okay, Prem, tell us what, what your role in this is going to be. I, I have seen both sides of the fence. I have seen the perpetrators, and I have worked with them, because I do visit prisons—and I have seen the victims, and I help them too. I have an incredible program—it’s called the Peace Education Program—that has proven itself. Right now it’s in eighty countries! And people are taking advantage of this. And I want to make that available in London, [MG: Right.] to, to the people. Because it really, really helps. Because what it brings to people is hope. When the hope is gone, a deafening silence of boredom takes over. Prem, just to explain to our listeners a bit more about who you are and what you do—because, I mean, you’re a—you’re a, you’re a guru—that’s just sort of your title. I, I, I haven’t given you that, that title—but you have a lot of followers around the world. But what is it that you tell these huge audiences that you do address, and what is it that this, this campaign is specifically trying to do? You have a lot of followers. Why do they follow you; what is it they’re following? They’re following their own quest for peace in their lives. Because this is what makes the Peace Education Program what it is today. So, is it like a religion? Or is it—and, and what, and what relevance does it have to youth crime? Well, it is not a religion. Because it is about human beings. We are in this world. We can have tons of beliefs. But it is not about beliefs; it is what is real, every day, that happens, that really affects us. You know, what happened thirty years ago is one thing. We can’t just say, “Look, and why don’t we just roll back the clock, and everything will be okay!” We can’t do that. And today, this is our problem, and we have to grab this problem by the horns—and the only way we can do that is if we give peace a chance! We’re not giving peace a chance. What do you mean by that, on a practical level? On the practical level, what is the value of the human being; where is the hope; where is, where is the community coming together, everybody...? But it is all of us coming together. That is what is fundamentally missing. ...and that shows the the level of their thinking. [MG: Ummm.] And they haven’t got peace! Because when you have peace, you make the best choices. And that’s why, you know, I’m very happy that we’re, we’re rolling out this first event, which is called, “Seeds of Peace.” [MG: Okay.] 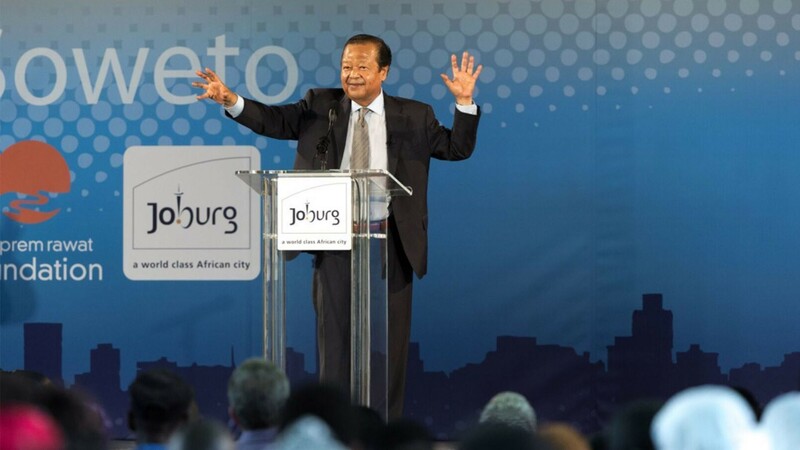 And Prem Rawat will be speaking to a the, masses of people. But, what I wanted to really inject here is, right now, the young people and the families are living in fear. There’s very little hope—literally, there’s very little hope, because every day we’re hearing of another stabbing. Is that an economic thing—or is it not about money? Is it not about poverty? What’s it about? It’s an accumulation of different things. Poverty, money, people, they’re all part of the jigsaw puzzle. [MG: Mmm.] But if you have all these things, and you yourself don’t have peace, how are you going to utilize what you have? And that’s what we’re bringing to the table; that’s what we want to spread across London—more peace in individuals so that they can utilize what they already have. The cuts to the police do affect the police! We forget that they’re human beings! [MG: Sure.] I speak with them. And they—it affects them. So, what we want to do is restore back that peace, that hope, so that they can get on with the job that they can do. And if people want to come to this event, tell us a bit more about when it is, and where it is? Well, it’s—the tickets are sold out, so.... [MG: Oh, are they?] Yeah, there’s, [MG: Oh, okay.] in fact, we’ve like, a long waiting list. So, I’m, I’m sorry about that, but it will be filmed, and it [MG: Okay.] will be rolled out. You’re talking about peace a lot—and yeah, but—a lot, today. But of course—and yeah, a lot of these problems are caused by gangs who are at war with each other. There is no peace if you’re at war with each other. And if you feel that you belong within that family structure of a gang, (which is, my understanding, is so often why these kids, particularly young men, end up in a gang), how can you possibly compete with that feeling of belonging and family that they get from a gang, and start saying, “Peace is the answer,” when actually their answer is, being protected by their fellow gang members? Actually, that’s really interesting because, in Ecuador, there was a whole gang. And this gang was having another—a fight with another gang! And people were dying left and right. And they decided that “this is enough.” And the only thing that really turned the whole point for them was something that could bring hope for them. Which was, “find yourself; find that peace within you. Find what matters to you the most.” And when they started to look at, that, the possibility of peace lies within them, they started to look at themselves. But surely, only if they want it—if they want to change. But, it, it—and well, the thing is, the option isn’t even there for them. And this is what we are working on. [PLJ: Yeah.] Pastor Lorraine and I are working on this, and we want to take this across the world—not just in England! And we want to give this alternative to people, that there is an alternative to all of this violence and all of this senseless stuff that goes on! So, you’re saying it worked in Ecuador? What sort of difference did it make in, in Ecuador? Now, this gang is going and recruiting other gangs to find, through the Peace Education Program, that hope that they were missing! And so, education is a part of it—and then, presumably, finding a route out of making your money from illegal means, into making money through legal means. I think—I mean, the mayor has invested a lot of money, (I’m talking about millions), that’s going into young peoples’ projects and helping [MG: Umm-hmm.] those that come out of prison to go through that restorative justice system—so that they can then, get employ’, get training, get employment, and do the right things. Now, I’ve spoken to lots of murderers, because I go into prisons as well. None of them are happy with what they have done. [MG: Umm-hmm.] Even those that commit a crime, they’re not happy with what they have done. Nobody’s born a killer or born a, a thief! [MG: Umm.] They’re not born that way. And they’re not happy with what they have done. So, education, it, it’s a key. And what we’re going to do through the Peace Education Project is educate them about themselves. It’s like reprogramming them about who they truly are so that they can make those positive steps and have a more fulfilled life. And if you believe in them, maybe they’ll see that somebody believes in them. And then, perhaps that will feed itself. [PLJ: Yeah!] That’s [words]. And, having worked with these communities before in other countries, when will you know that it’s beginning to work? How, how will you see the kind of, the progress that you’re going to make? I have been in Soweto; I went there the first time; there were a few people who had been through the Peace Education Program. The next time around, there were so much more. But not only that. They are taking the message. I don’t have to keep doing it. They are taking the message to the, to their young folks in their community. And it’s spreading! It is spreading because it is like good news! I’ve got seven—I’ve got seven other children. [MG: Have you?] Yeah—that there’s going to be a better society for them. So, it’s started already, and we’re already seeing positive responses [DM: Yet....] from the Peace Education Program. But, do you—is there something—and have you talked to other mothers—what, sisters, grandmothers, about, about this issue, and how to change that, you know, what’s going on at the moment? Yes, I have. I’ve spoken to a number of other mothers and fathers. And, some of them will be coming to our event on Sunday. 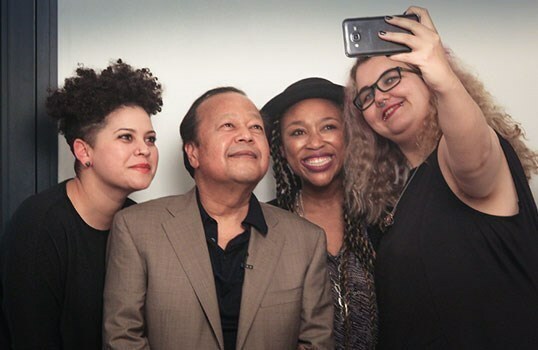 But I would like to say that it’s—I mean, what you’re seeing from me, it’s, it’s, it’s a very unique thing, and—and I know the tools that I’m using, (which is a part of Prem Rawat)—but it’s not easy. When you’ve got a broken heart, and you’re shattered—we’re dealing with trauma, shock and grief—it’s not easy to get up and start walking on in your life. And there’s a lot of families out there that are in this state. But when they see me coming out, doing what I’m doing, I’m giving them more of a hope. So that’s why I do what I do, as well. And Prem, what about the lack of, of male role models? Certainly, a lot of UK politicians, (David Lammy, particularly, one here in London), talked a lot about gangs and crimes. And he has spoken about the lack of, yeah, of the father figure, and the lack, absent dads in this area, and the detrimental impact. Do you believe that that is one of the causes? But to me, it’s like, you know, your house is on fire. Do you really want to stand in front of it and figure out how the fire got started—or put out the fire, first? But if you figure out [PR: Hmm?] how it started, doesn’t that stop other fires starting? Once you have, once you have saved your house, yes, then you will actually maybe even have better clues of what started it. But if all the evidence is burnt...? I mean, if there is no society left—if the very fabric of the society breaks down, we will have nothing. How do you define “peace?” Now are you talking about inner peace; you’re talking about lack of fighting...? No, it is the inner peace. Because it is the inner peace that causes the fighting—what, what the fighting on the outside is, is just a projection of what’s happening inside of you! So, it’s a form of psychiatry? It’s not a form of psychiatry; it’s a form of realization; [PLJ: Yes.] it’s a form of understanding; it’s a form of condensing your existence, giving it some meaning, giving it... Oh, it’s about you. It’s about you, your understanding of life, your appreciation of life. But, life is a very beautiful thing, that we have been gifted. But, please, it’s not just us. I would like to congratulate any person who is listening to this radio show, and who wants to make that change in their life. [PLJ: Umm-hmm.] And because it is, the whole community has to come together—everybody has to come together to make this happen. You’ve told us already where to go look and find more information, but tell us one more time? Right, that’s The Prem Rawat Foundation, and that’s tprf.org. 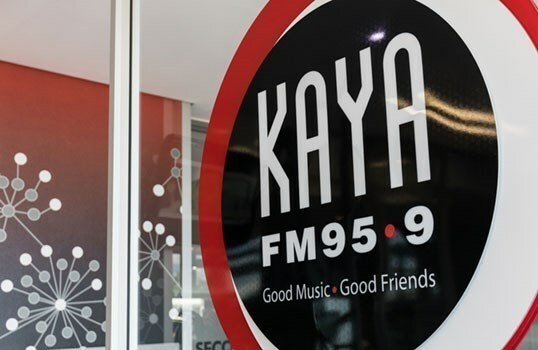 asinga, of Johannesburg’s most popular independent radio station, KAYA FM, Prem elaborates. And as he does, the listening audience of 1.8 million, gets an unexpected opportunity to think about the topic in a new way – that, in fact, we are all Peace Ambassadors – or could be – as long as our “lamp it lit” and we have a passion for it. 00:01:59 Prem Rawat on Jacaranda Radio FM Video Duration : 00:01:59 Dignity is not taught to somebody. Dignity comes from within people themselves. Although the systemized racial oppression of Apartheid was abolished in 1991, its legacy still haunts South Africa. Jacaranda 94.2 FM is the largest independent radio station in South Africa and boasts a listening audience of 2 million people a week, and a digital community of more than 1.1 million people a month. It’s the morning commute and Rian invites his audience to call in to speak with Prem. 00:41:00 Wild Wise Women - Part 3 Audio Duration : 00:41:00 We never look at ourselves as our own saviors.